I found the few surviving pages of C. James Crysler’s WWII journal buried in a wooden trunk in his son’s basement – a choice man cave filled with old carpentry tools, hunting gear, a huge flat screen TV, one partially restored 8mm film projector, and a collection of military records and combat medals earned by both father and son in two American wars fought three decades apart. There are only 11 handwritten pages left in his war-diary, but it reads like the classic Hollywood script for a young Jimmy Stewart: the improbable delivery of a new B-25 bomber from Florida to India by a freshly-minted pilot and his crew, including a scene in a seedy Brazilian night club filled with German soldiers after his dangerous trans-Atlantic crossing. It is the defining record of his perilous journey, and the beginning of his heroic tale. The journal ends there. Crysler eventually made his way safely to Dinjan, India on June 2, 1942. 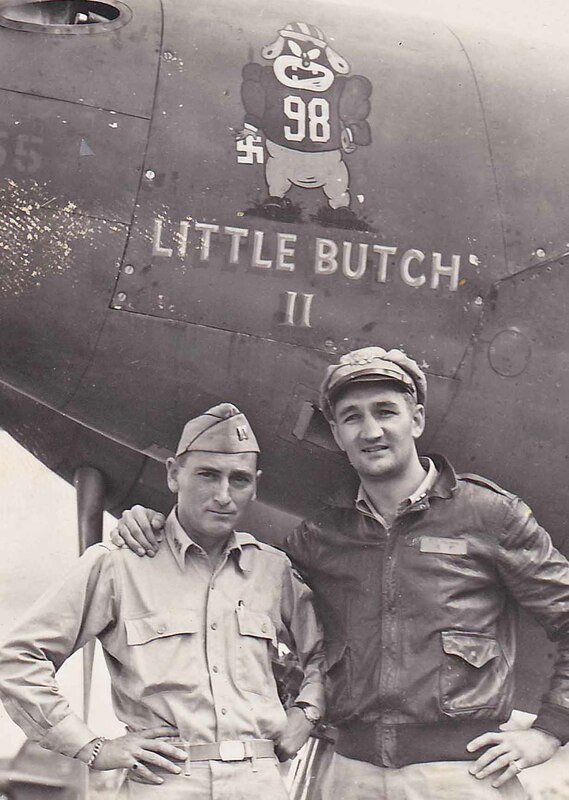 The next day, after a successful bombing raid over Burma, he and his crew was being pursued by the enemy when they ran out of fuel and had to bail out of their B-25. 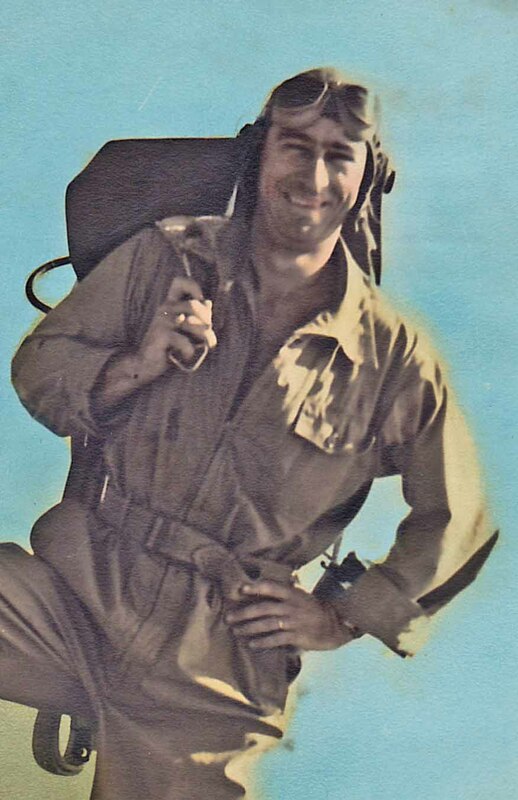 The survivors made their way through the dangerous jungle to safety, and Crysler ended up in Kunming, China where he ended up flying 15 combat missions with the American Volunteer Group’s legendary “Flying Tigers” from mid-June through early July of 1942. 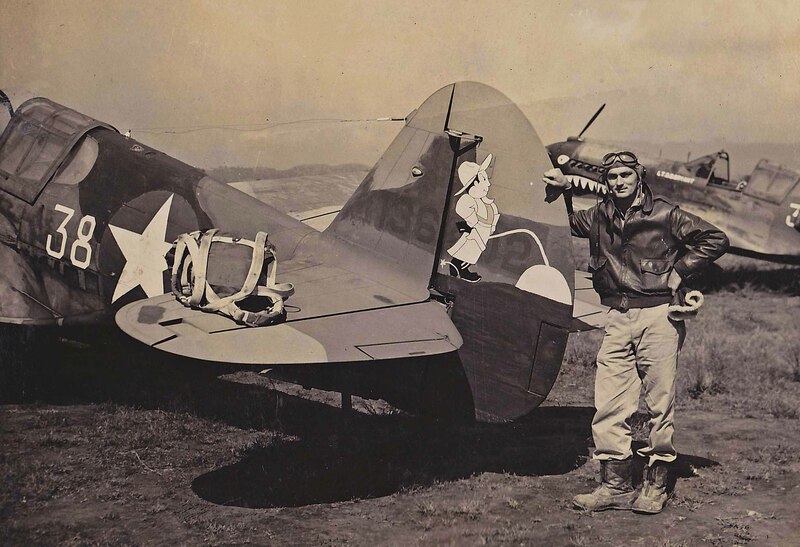 This entry was posted in WWII and the "Flying Tigers" and tagged 1st American Volunteer Group, C. James crysler, Curtiss P-40 Warhawk, Flying Tigers, Morrison Field, South Atlantic Transport Route. Bookmark the permalink. The author has provided the reader with an exciting introduction to the story of two heroes–a father and a son–who put their lives on the line during two different wars. 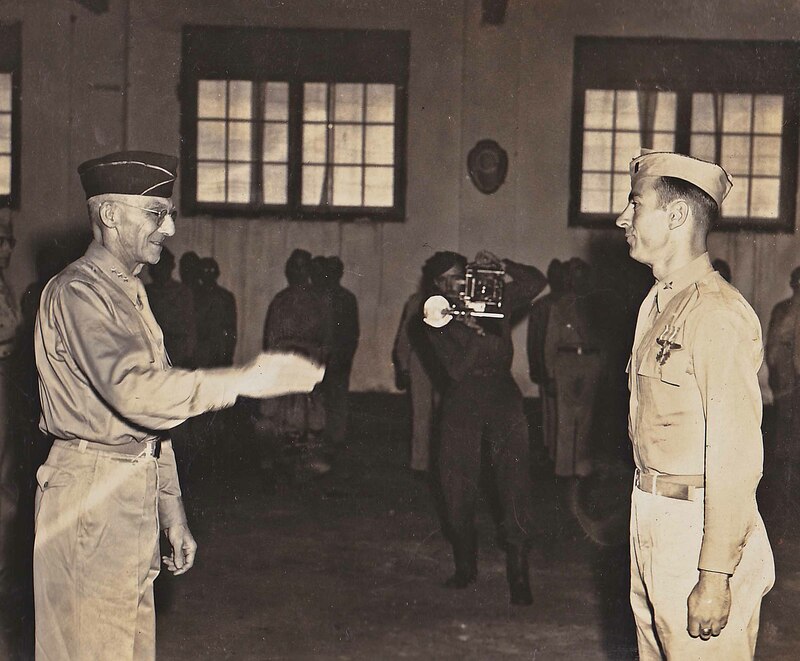 The father, C. James Crysler, set the standard while fighting the Japanese during WWII. His son Ron, using his father’s courage and bravery as a guide, also served his country with honor and distinction during Vietnam. I know the son very well, and I met the father in 2005. It was my privilege to set up a meeting at that time between Ron and James Crysler and the daughter, granddaughter and daughter-in-law of General Claire Lee Chennault, founder and commander of the Flying Tigers. I never met Ron’s father, James Crysler, but I have known his son Ron for over 40 years. He graduated tops in his flight class and was held back as a flight instructor in the Naval Advanced Training Command, flying the 2 seat A-4 Skyhawk (TA-4J). He was a well-liked individual with a friendly demeanor. After his tour as a flight instructor, Ron went on to fly the A-7 Corsair ll, a light attack carrier based fighter-bomber. He flew over 100 missions during the Linebacker operations (bombing North Vietnam) to force the North Vietnamese back to the peace negotiating table. Ron continued his flying career and retired as an airline pilot. His friendship is considered an asset to those who know him.